The prosecution on Friday requested four years in prison for Kim Ki-choon, ex-President Park Geun-hye’s chief of staff, on charges of abuse of power and perjury in relation to his involvement in the drafting of a white list to illicitly provide support in the form of hundreds of millions of won to pro-Park civic organizations. The prosecution also requested six years in prison and a fine of 100 million won ($90,000) for Cho Yoon-sun, who served as minister of culture, minister of gender equality and presidential secretary for political affairs under Park, under similar charges. 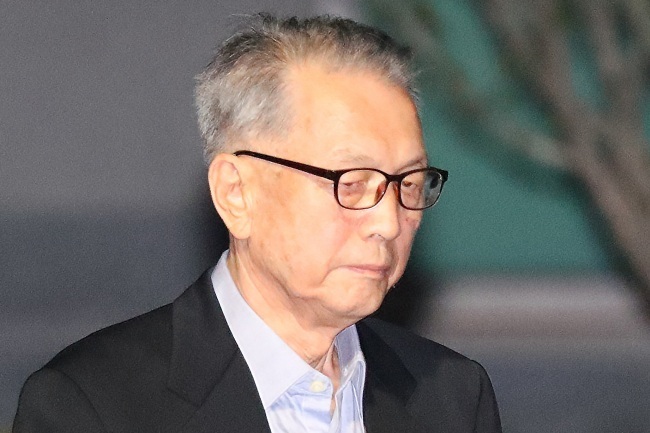 Authorities believe that Kim arranged to provide some 2.4 billion won to civic groups on his white list of groups who were favorable toward the Park administration from 2014 to 2015. They also believe that Cho supported a total of 31 pro-Park groups with some 3.5 billion won worth of government funds from 2015-2016. Cho is also suspected of having received some 45 million won from National Intelligence Service funds while serving as presidential secretary for political affairs. The funds, according to the prosecution, were then given to the pro-Park organizations to fund pro-government rallies. The groups were also asked to hold rallies against progressive politicians and opposition parties, according to authorities. It is also suspected that these groups were paid by Cho and Kim to hold counterprotests against families of the 2014 Sewol ferry victims.